Summer is always a wonderful time! For us, summer means cookouts, swimming, get-togethers, celebrations of all sorts, travel, and lots of fun! Who could forget vacations? We love to travel! We love to travel in packs, most of the time including the extended family. While the beach (somewhere) is a frequent hot spot for us, there have been a few occasions where we as a household venture out, just the 4 of us, and do something different. It's just us, and I must admit, we play well together! For vacation 2016, the 4 of us packed up the Explorer and ventured up to Cedar Point. It was the first time for all of us. After Hershey Park, I vowed never to go to another amusement park until our kids were tall enough to ride everything! I just couldn't stand the heartache of those words, "I'm sorry son, you are not tall enough to ride that." Once he surpassed 54" in height, we were all set! I have wanted to visit Cedar Point since Millennium Force hit YouTube, so this year, we set our sights and Google Maps destination on the Hotel Breakers and off to the fun we went! We have a Family Mission Statement that we try to remain true to. One such goal is that we just want to be fun and adventurous together. We want to try new things, stay in all 50 states, and travel to the coolest places of the US. The world is too scary these days, so just the US for now :) ! I hope all families have as much fun as we do! We laugh together, act crazy at times, and try not to get into too much trouble with hotel staff! We find that it builds relationships and fortifies love for one another! It's a good thing! Family is the basic unit of society and we must learn how to get it right, so as to perpetuate healthy families! "God, please provide grace for healthy families!" Vacation 2016 was a great time together, we had a great time and so much fun! We were out everyday until the park closed and definitely got our money's worth out of it! I pray you and yours have a great and safe Summer 2016! 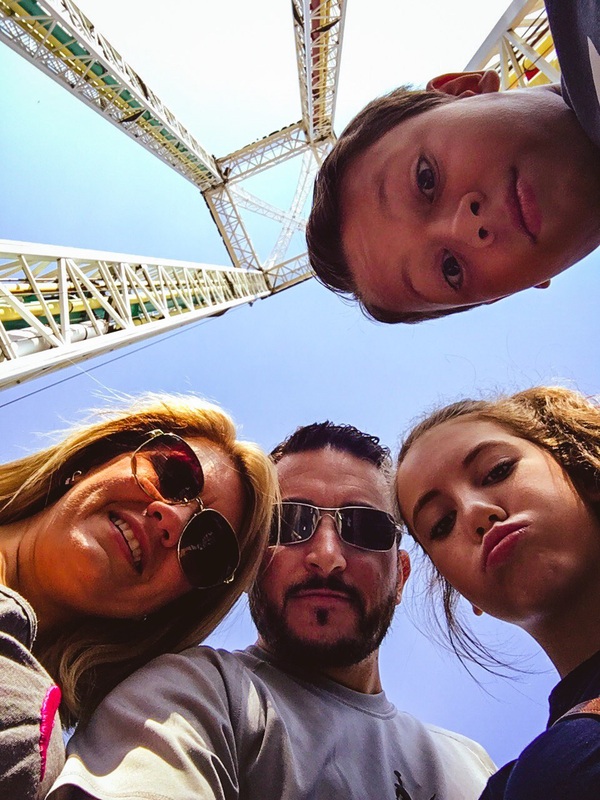 God Bless and enjoy our highlights video from Cedar Point!